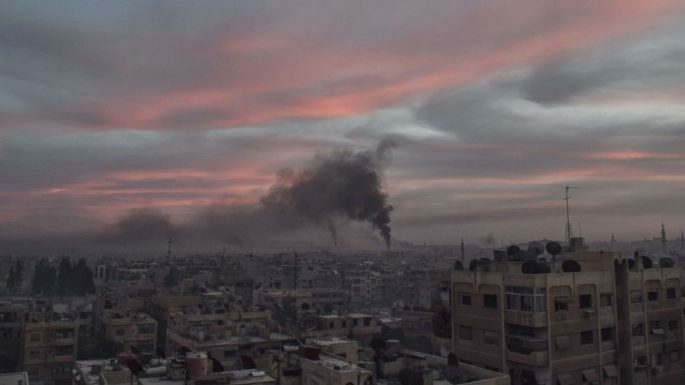 Michael Horowitz, a senior analyst at the Le Beck geopolitical consultancy, said the strikes were deeper into Syria than Israeli forces usually venture and that the attack in Hama appeared to involve massive weaponry to penetrate the mountainside. 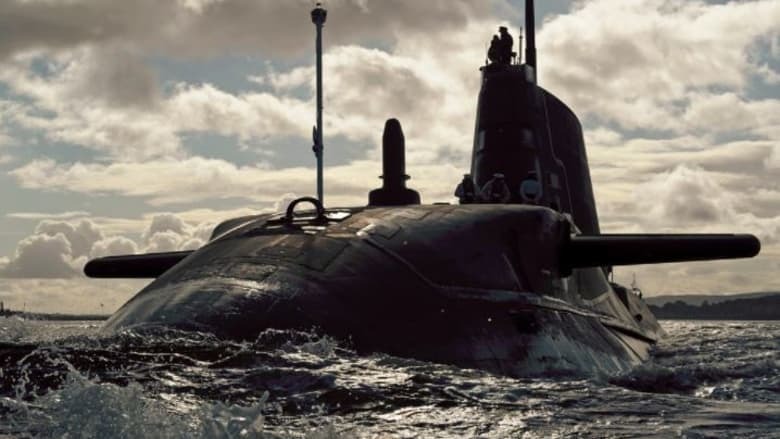 “The context is very important because we are a few weeks away from the possible collapse of the Iran nuclear agreement and the possibility that Iran will resume its nuclear programme. I think this strikes sends a message to Iran that Israel can strike these underground facilities,” Mr Horowitz said. 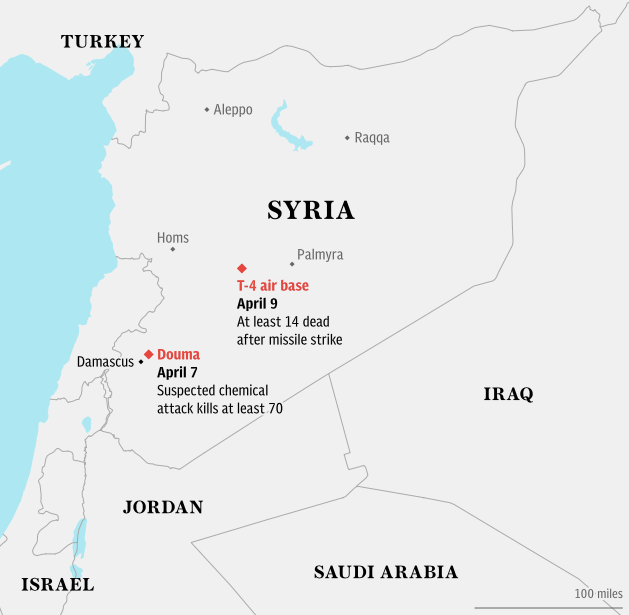 Analysts believe the lull in the bombing is a result of Assad’s forces rushing to move their aircraft to Russian bases in Syria, which are less likely to be targeted by American missiles. “Since Trump tweeted its initial threats the regime has completely changed its military deployments, particularly its air force, which in turn disrupted its air campaign,” said Michael Horowitz, a senior analyst at the Le Beck geopolitical consultancy. “In a way, the mere threat of action has already been enough to save lives on the ground,” he added. 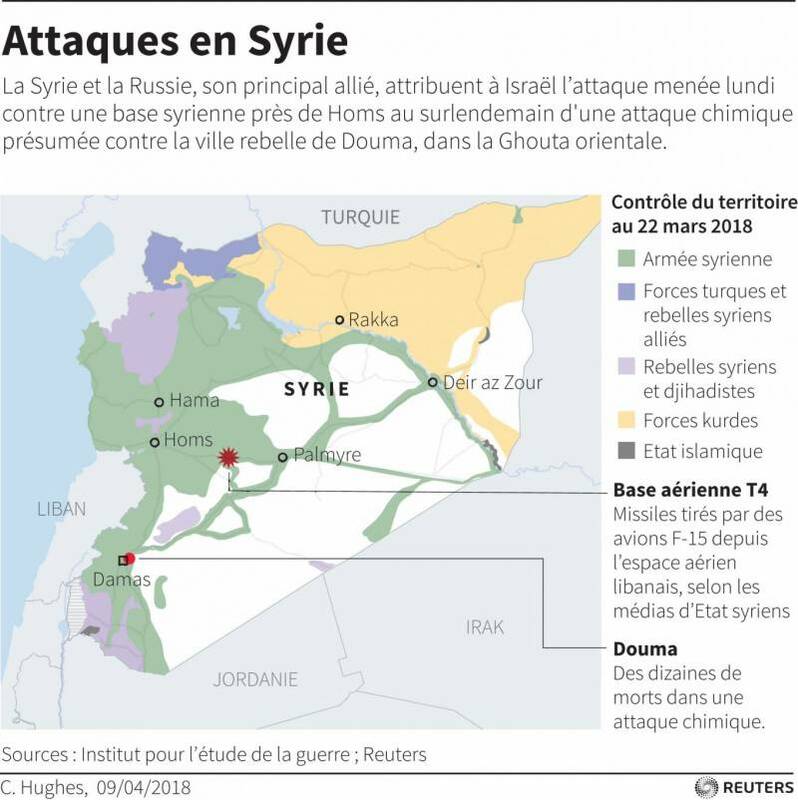 Michael Horowitz, a senior analyst at the Le Beck geopolitical consultancy, said that the regime would probably move its most sensitive equipment close to Russian forces, in the hope that the US would be less likely to risk accidentally striking Russian troops. Michael Horowitz, a senior analyst at the Le Beck geopolitical consultancy, said that the regime would probably move its most sensitive equipment close to Russian forces, in the hope that the US would be less likely to hit it and risk accidentally striking Russian troops. 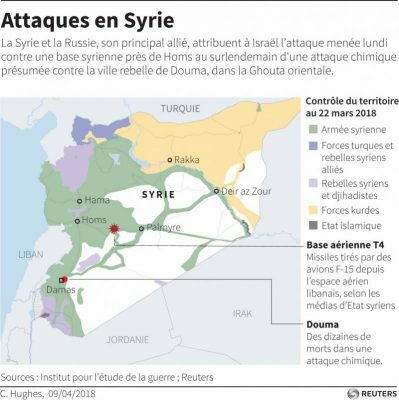 “The Syrian military has already had time to take some contingency measures and evacuate some of the potential targets Washington could decide to strike, which could limit the impact of any possible American intervention,” he said. 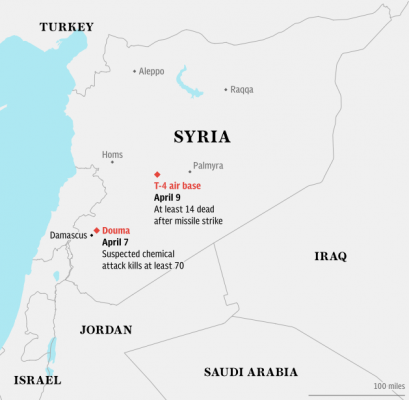 “By striking the base once again, Israel sends the message that Russia simply cannot ignore this trend, both because of the risks it implies, and because Russian and Iranian soldiers are physically working a few feet away from each other,” he said. Israel, meanwhile, which has repeatedly expressed concerns about the expanding Iranian military presence in Syria as the Syrian government consolidates its control, may have seen Trump’s threats on Sunday as an opportunity, said Michael Horowitz, a senior analyst at Le Beck International, a Middle East-based geopolitical and security consultancy. Michael Horowitz, a senior analyst focusing on Syria and Israel for the Bahrain-based Le Beck International, said Israeli officials are worried that there is no real U.S. commitment to rolling back Iranian influence in Syria. “They are very concerned by the gap between Trump’s rhetoric and his policy,” Horowitz said.